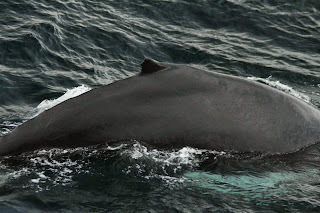 After reading yesterday’s sightings report, I can’t tell you how excited I was to get back on the water for my first whale watch of the season! It definitely did not disappoint. 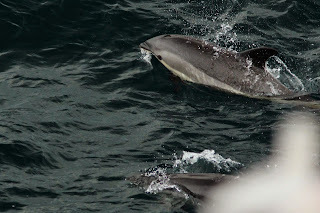 Up on the northwest corner of the bank amidst the fog and rain we found dozens and dozens of Atlantic white-sided dolphins swimming alongside fin whales and humpbacks! I don’t think it was any coincidence that these animals were together and doubt the possibility that they were huddling together for warmth as Captain Jeff suggested (jokingly). After a long winter of fasting (for some), these marine mammals come to Stellwagen Bank to replenish their fat stores. Although we couldn’t see it, a bounty of baitfish is likely what brought this diversity of life to this particular location today. Schools of tiny little fish will continue to bring animals from hundreds and even thousands of miles away to the sandy Stellwagen seabed throughout the spring, summer and even fall. 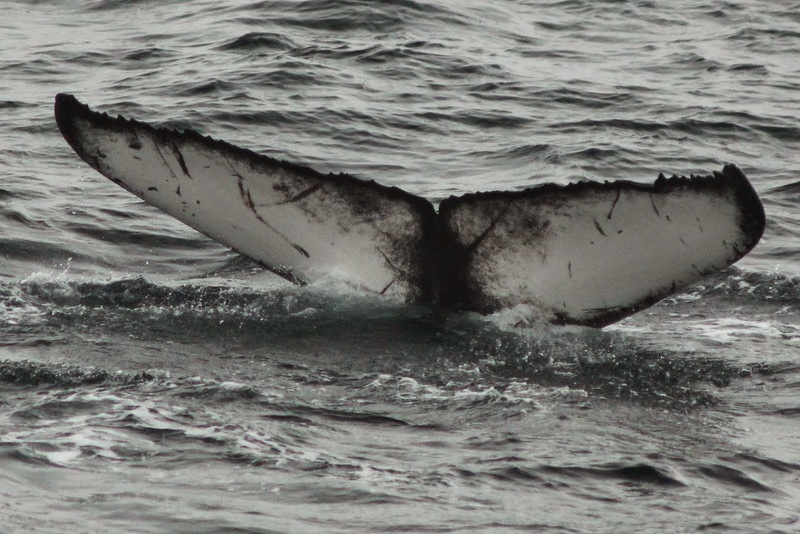 We were very excited to see a number of familiar flukes today. 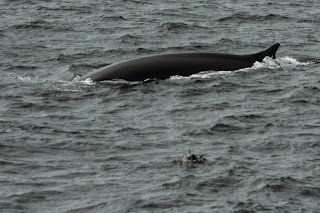 One of them was Perseid, a female humpback who spent most of last season nursing and teaching her young calf the skills necessary for him to survive on his own. Perseid’s calf was nowhere to be seen today as he likely separated from Perseid a few months or so ago. 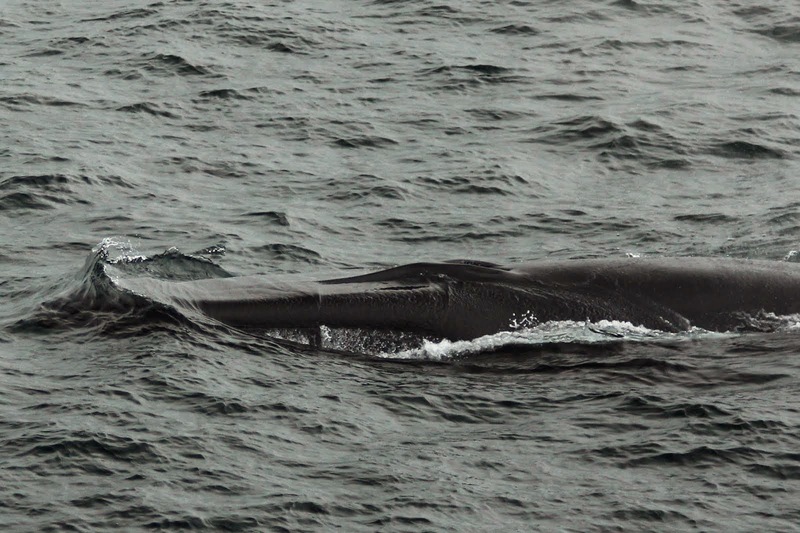 We did, however, see Tau’s 2014 calf, a young whale embarking on its first feeding season as an independent juvenile. 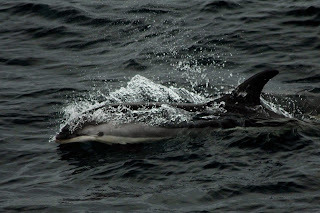 Hopefully Tau’s ’14 calf paid close attention to its mother’s feeding techniques. 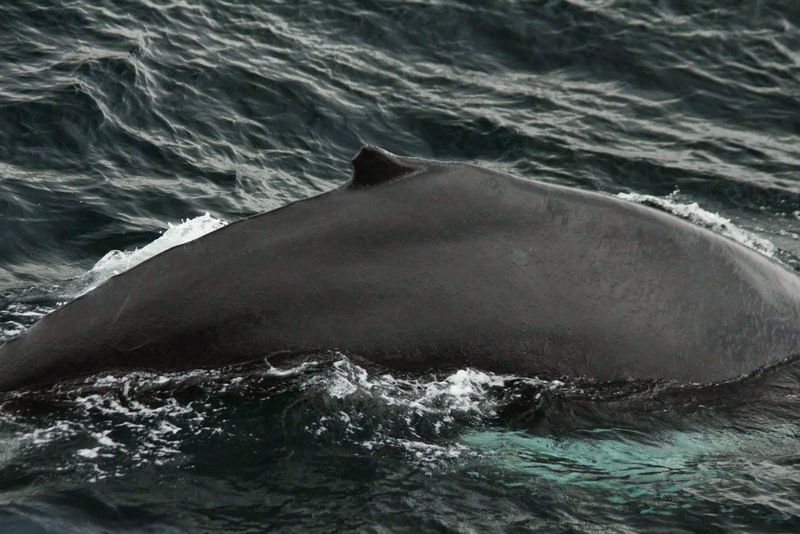 This will be reflected in its ability to fish successfully which will ultimately determine this young whale’s probability of surviving through these early years. 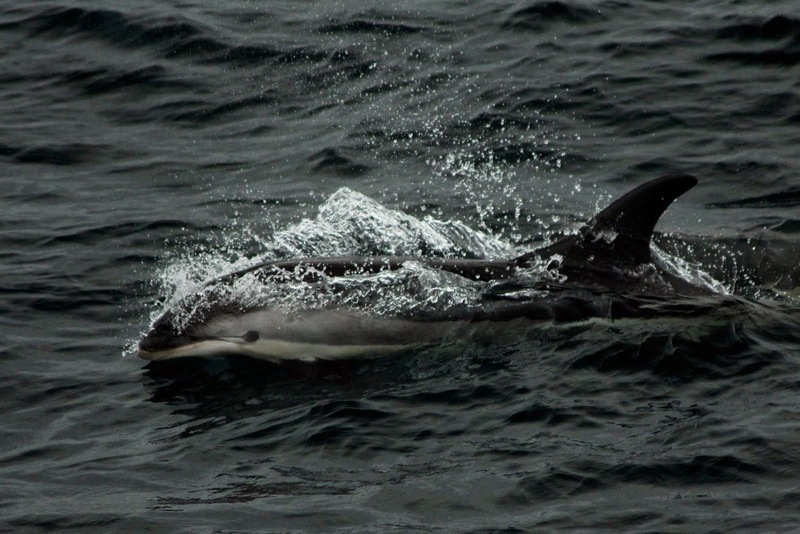 Depending on the availability of food this season and the seasons to come this juvenile has a good chance of making it to adulthood and will eventually be given its own name by scientists and naturalists throughout the North Atlantic. The behavior of the animals in the area made it apparent that there was definitely food available today. 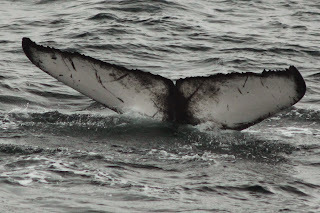 As we approached a trio of humpbacks we saw Perseid, another humpback called Venom and an unknown humpback lunging up out of the water mouths agape, a feeding method known as lunge feeding. We even saw fin whales lunge feeding a couple times today, a more unusual sight on our whale watches! 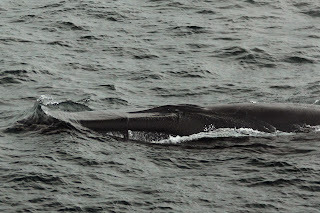 This behavior wasn’t repeated but there was likely some subsurface feeding going which was super exciting to see on my very first day on the water! In addition to a diversity of marine mammals we saw lots of seabirds including Eiders, Black scoters, Northern gannets, and various gull species. Finally, we saw a large group of Razorbills, which have been coined “the penguins of the north”, an extra special treat for us!